Campus emergency preparedness goes far beyond active shooting planning. Schools and school districts need supplementary emergency lockdown plans, as incidents become more common. Not sure how to get started? Or looking to take your current planning efforts to the next level? We’re here to help. 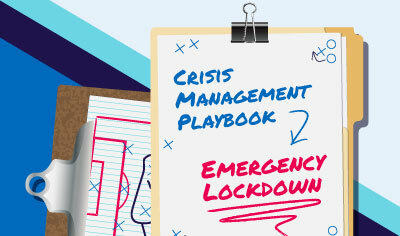 Based on best practices in the field, our step-by-step, how-to guide gives you a detailed template to develop your own emergency lockdown plan.